Enric Duran has decided to request the suspension of his trial due to disagreements with his lawyer. Given this situation, he lacks the necessary time to prepare the social awareness campaign linked to the trial, another motivation behind this request. Enric Duran received the information about his trial just three weeks before it was due to be held. He had to go by himself to collect the official response to the evidence he presented, a response published three months ago. That means the judicial process was already underway, even though he was not aware of it. 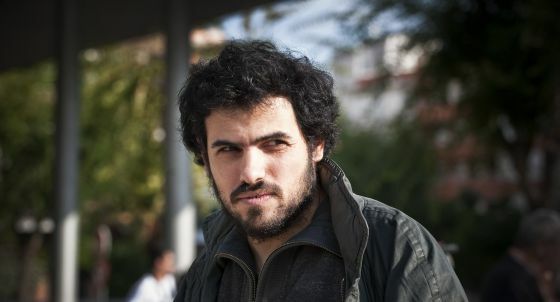 This situation is one of helplessness and uncertain legality, so Enric Duran has demanded the revocation of his lawyer. No one can prepare their own trial without information from the previous process, and Enric Duran’s lawyer told him that he would have all the documents three months before the trial dates. This did not happen. That is the reason behind Enric’s revocation of his lawyer and the request for suspension of the trial. The lawyer has also stepped down and this morning both requests were presented at the Audiencia Provincial de Barcelona. As of now, Enric Duran has four days to find a new lawyer, because the trial is set for February 12. That is not enough time. “It is very difficult for us to be able to prepare the social awareness campaign as we had wanted”, Duran says. Besides, the magistrate’s court set to judge Enric Duran is the same one that had to judge the ‘Case Pallerols’ regarding the irregular funds of a political party. And that trial did not take place because the attorney’s office and the accused came to an agreement. The trial against the banks arrives in a very difficult, especially tumultuous moment, as politicians and banks demonstrate that the system is not working. While banks’ and institutions’ credibility is almost 0, hundreds of senior politicians and bankers are being impeached and almost all of them getting rid of everything. While all of this happens, the attorney’s office and 14 banks request 8 years of prison for Enric Duran. Enric Duran went public in 2008 and announced that he had asked for bank credits from 39 bank organisations. He collected 492.000 Euros that he is not going to give back. It has been certified that banks rob us and condemn millions of people to misery. Speculation and greed dominate society, consumerism guides lives, all because of the banks. This activist participates in another form of life building and he wants to explain it. This trial is an opportunity to show this contrast: spoiled institutions losing their meaning amid the rise of alternative societies where dignity is built from below. In an attempt to explain all of this, Enric Duran has a new blog: www.enricduran.cat. Here, he explains in detail his motivations. The right to an appropriate defence is the reason behind his request for suspension of this trial. The right and access to appropriate information in society represents his political motivation.